Here we go, directly into the fiery arena of three-year-old colt pacers, with 19 ready to put themselves in the most expensive pacing race of the season right at the start of the season. On Saturday, June 9, two $50,000 eliminations will settle the field for the next week’s $1.5-million North America Cup. 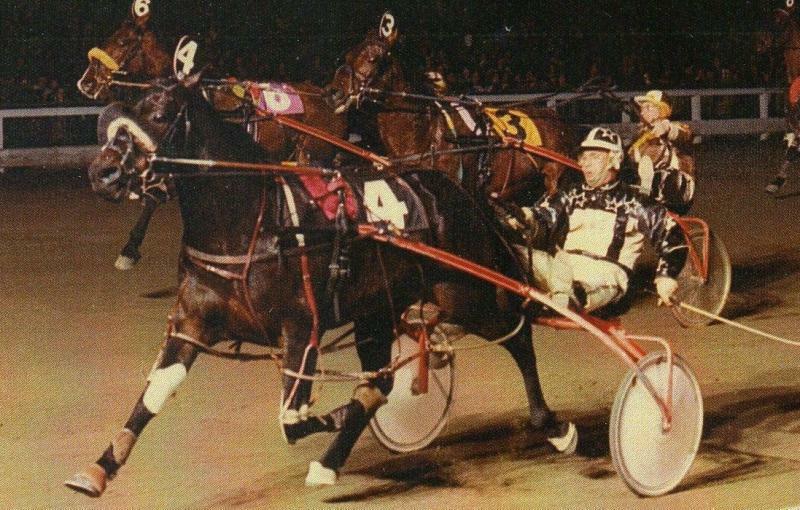 That same evening, the soph-filly pacers hold elims for the sister event, the Fan Hanover Stakes. One of the colts’ elims has Sweet Lou in the limelight. The champion frosh pacer of 2011 has raced twice this season, laying down two sensationally fast wins. His foremost opponent, according to punters, A Rocknroll Dance, is in another elim as the two vie to rattle sulkies in their respective berths for the big dance. The six-digit Empire Breeders Championships for soph-colt-and-filly trotters, along with eliminations for the Goodtimes and Elegant Image are covered over the next two days in our exclusive blog, the Hambletonian Trail. Get to TwinSpires for wagering all of the great races leading to the Hambletonian and “Oaks” and read all the result stories at Hambletonian Society’s exclusive “trail” section. Bookmark that page, visit it regularly as eligible sophs race on week days and nights through the spring-summer schedule, aiming for the first Saturday in August. We take our weekly shot at Cal-Expo with TwinSpires-Cal-Expo’s exclusive no-takeout Pick 4. This week it is featured in races 10 through 13. A detailed report is included below. At Mohawk on June 9, some of the season’s earliest glamour boy pacing stars fight for places one through five in two elims of the North America Cup Final. Her are the fields, followed by analyses. Two standouts by virtue of their early performances should take all of the money in this elimination. 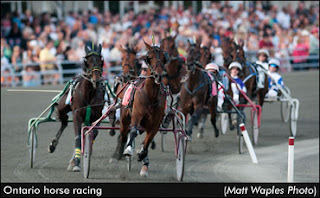 Michael’s Power is on a roll at this track, having won his division of the Somebeachsomewhere among four wins in as many starts this year, including the Upper Canada Cup at Georgian Downs. The Casie Coleman student is reportedly in top shape, which he will need facing A Rocknroll Dance. A Rocknroll Dance just lost by a nose to in the June 2 New Jersey Sire Stakes (NJSS) at the Meadowlands. Time To Roll is perfect in two starts this year, after racing only a trio of miles at two. He is trained by Jimmy Takter. Pet Rock, who we gave you when he won the Art Rooney last week, has two wins in three starts this year for trainer Virgil Morgan, Jr. He would be the one to save some ground as the speedballs fire and be able to surprise them. Or, he may be getting better and adore the two turns, delivering a surprisingly strong mile. Is it time yet to bet against Sweet Lou? For sure, the odds on the second and third choices in this field will not be seen again by the colts involved. There are three that deserve attention at the probable high odds Sweet Lou will afford them: I Fought Delaw, Simply Business (who we gave you as the 20-1 winner of last season’s Metro Pace) and Hurrikane Kingcole. The trio has every right to improve. The question is how much can they improve if Sweet Lou is wound up to cut impossible fractions? The sister event for the “Cup” is the Fan Hanover and two elims will be on the June 9 card. Casie Coleman’s Sarandon Blue Chip takes the third start of her career to an elim after winning her first two efforts. She comes to Canada after winning the $150,000 NJSS final at the Meadowlands in 1:50.3. She broke her maiden a week earlier in a startling 1:51.2. Second to Sarandon Blue Chip in the Jersey race was Pirouette Hanover. We were hot for her in her frosh season and although she did well she seems to have grown quicker and bolder at three. In this elim, however, we have our eyes on Takter’s Romantic Moment, a filly that raises a notch in class with the retirement of See You At Peelers. American Jewel could do no wrong last year for Takter and was second in her 2012 debut. She lost only one race of nine and had a legitimate health excuse. In the second elim she will be up against last year’s Breeders Crown winner, Economy Terror. 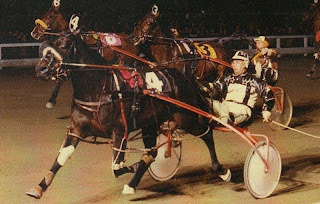 American Jewel has to deal with an outside post and Economy Terror is somewhat over rated in our books, so we are looking at Rockaround Sue for an upset. We wouldn’t be surprised if she is the third choice but even with that status she could offer some real win money. She has a great chance to go all the way for trainer Tony Alegna. Friday, June 8 at Mohawk features two eliminations for the Armbro Flight, a trotting event for older mares. The first division is the weakest, class wise. Jersey As and Beatgoeson Hanover will be the top betting interests. Sashay and Cleopatre Duharas, who were both Hambletonian Oaks hopefuls last year, may be able to recover from their last starts. Sashay needed her recent effort and performed well. She closed from fifth to finish fourth by a length. She may be able to get the best of the group. Cleopatre Duharas has always been an in-and-out horse. She races best in stakes. She’ll be aiming to make the final and as long as she stays flat she’ll be good, especially in the exotics. The second division is tough, with Jezzy and strong competitors. Cameron Chip and Oh Sweet Baby may be able to get the best of this bunch. Cameron Chip was a valiant second against similar in the Miss Versatility at Mohawk. She should get another good trip and come from off the pace to win. Oh Sweet Baby should be able to close well. With as much speed as there is in this race, a big late move could provide us with an upset. In any event, use her in the exotics. Race 10 through Race 13 make up June 8’s no-takeout Pick 4. Let’s look at some of our contenders for a small ticket that could present a big return. (6) Laredo’s Goose was second despite a rough outside trip that gave him the lead briefly. (7) Doit By The Clock won gallantly roving wide and still gained. He can come right back and start this ticket with a win. (6) Pedal Pad appears the only one in this race with any reason to win off of recent starts. Last week he was 3-1, finishing third with a late rush that may have done the trick if started earlier in the mile. (8) Schemes has been sitting on a win but for some reason cannot find the path at the right moment. He may get away from bettors tonight and do the job against this weak group that could offer a false favorite. (4) Gee Up raced very well to get the show spot last out at 24-1 with a quick closing (5) Lil Hope, at 22-1, right there in fourth. They may team for a giant exacta and finish this ticket with big prices.